In 2017 Eldercare issues cost companies over $36 BILLION in lost productivity, and billions more were unnecessarily spent mitigating avoidable issues. Mr. Eldercare 101’s products & services help working caregivers stay engaged and focused so organizations can remain productive and profitable. The physical, mental, financial and emotional demands of eldercare often leave caregivers drained and without the ability to best care for their loved ones, themselves, or their responsibilities at work. Our goal is to enable caregivers to best care for their elderly loved as they simultaneously care for themselves and manage their other responsibilities (i.e. work, parenting etc.). On average 1-in-5 workers is dealing with eldercare challenges. As such, the average caregiver’s productivity DECREASES by 18.5% and the COMPANY PAID portion of their healthcare premiums INCREASES by almost 10%. In short, companies are paying substantially more for, and getting significantly less from 20% of their workforces. The drivers of those statistics are multi-faceted and fall into four (4) broad categories. They are: health (physical & mental); career; financial; and managing other relationships. 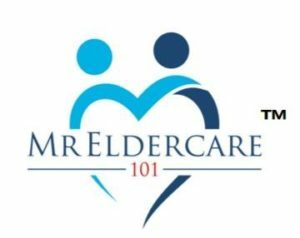 Because we recognize and understand what drives eldercare challenges in the workplace we’ve created the Mr. Eldercare 101 “CARING For The Caregiver” methodology. Our “CARING For The Caregiver” approach emphasizes and promotes overall caregiver wellness so our solutions (live and online) sync well with corporate Employee Assistance Programs (EAPs), or alternatively can stand alone to support caregivers. Our comprehensive offerings are specifically designed to help caregivers anticipate & avoid future challenges while providing solutions for current ones. This methods has been proven extremely effective in reducing stress and preventing avoidable distractions. These are some of the reasons why Mr. Eldercare 101’s approach has proven attractive to progressive corporations, government, hospitals/health systems, national membership organizations and successful entrepreneurs. Employers who offer eldercare wellness programs realize significant ROI because health and wellness directly affect productivity, employee satisfaction scores, retention and ultimately profits. Contact us NOW!!! Let Mr. Eldercare 101 show you the substantial ROI and benefits to both caregivers & the overall organization. Employees will be happier, healthier, and more engaged which make them more productive and your organization more successful. I. Employee eldercare challenges force organizations to pay substantially more and get significantly less from 1-in-5 workers. How much productivity and profit are you losing? II. Eldercare issues force almost 22% of retirees to exit the workforce earlier than planned. That “brain drain” disrupts operations and the costs are impossible to quantify. How do you recognize and support distressed employees? III. 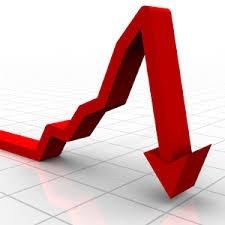 Eldercare lawsuits increased 650% in the last decade. Employees won 70% of the time; and $500,000,000 has been paid out in settlements. What does your company have in place to avoid lawsuits and bad publicity? 1-in-5 workers retired earlier than planned due to eldercare challenges. Significant business disruptions and substantial replacement/recruitment cost are the result.